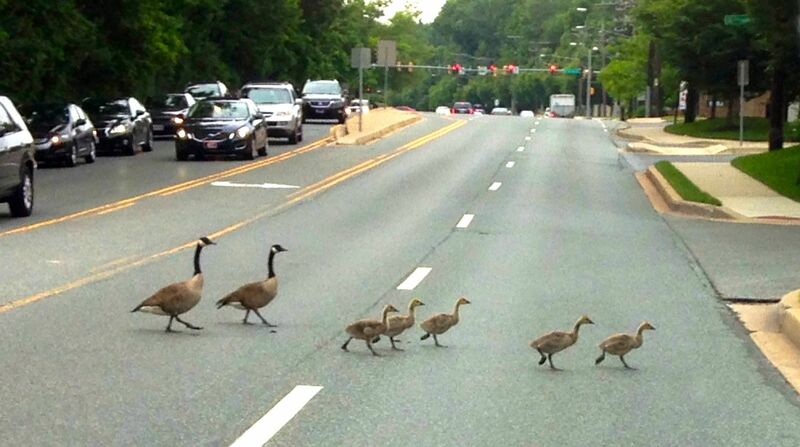 I just love this family of geese crossing the street together. Father and mother bringing up the rear. Everyone look both ways and be careful when you cross.